Orange demarcation fabrics, also known as orange delineation geotextiles, are a cost-effective visual warning layer in many subsurface geotechnical applications. During excavations the bright orange demarcation fabrics signal workers to proceed with caution. Since project specifications vary, we offer several types of demarcation fabrics and netting. Our most commonly used products are shown below. Please call us at 609-971-8810 so we can help you select the right material for your project. We welcome the opportunity to be of service. 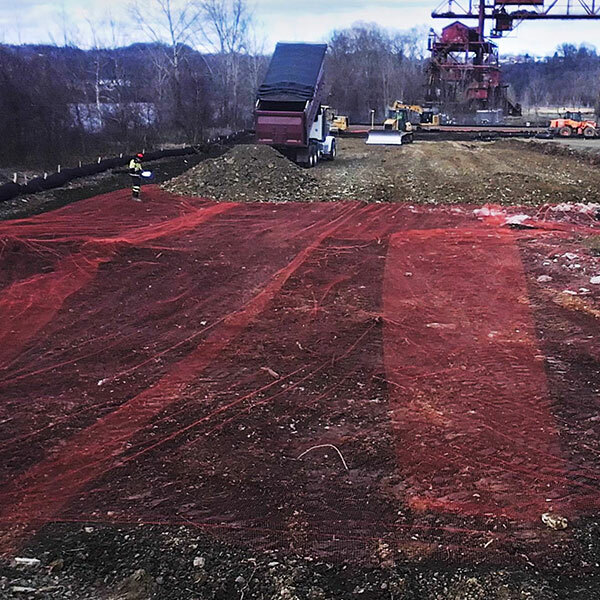 Orange demarcation fabrics, also known as orange delineation geotextiles, are a cost-effective visual warning layer in many subsurface geotechnical applications. During excavations the bright orange demarcation fabrics signal workers to proceed with caution. Project specifications vary, so we offer several types of demarcation fabrics and netting. Our most commonly used products are shown below. Please call us at 609-971-8810 so we can help you select the right material for your project. We welcome the opportunity to be of service. Geotex® OR DND, the first printed NONWOVEN demarcation geotextile. Lightweight woven polypropylene geotextile, 24 x 8 weave of natural & orange tapes. Roll size: 12′ x 300′. Available with “Danger-Do Not Dig” in English and/or Spanish printed every 10′. Lightweight orange extruded polypropylene netting with a 1/4″ or 3/4″ opening size. 17′ wide rolls for fast and easy installation. Multiple widths and lengths available for any job size. 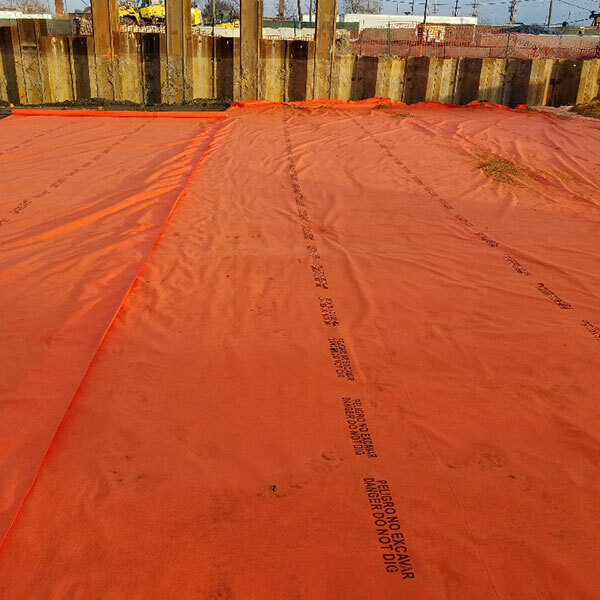 Orange demarcation fabrics can serve multiple roles at the same time in environmental construction and Brownfield applications. 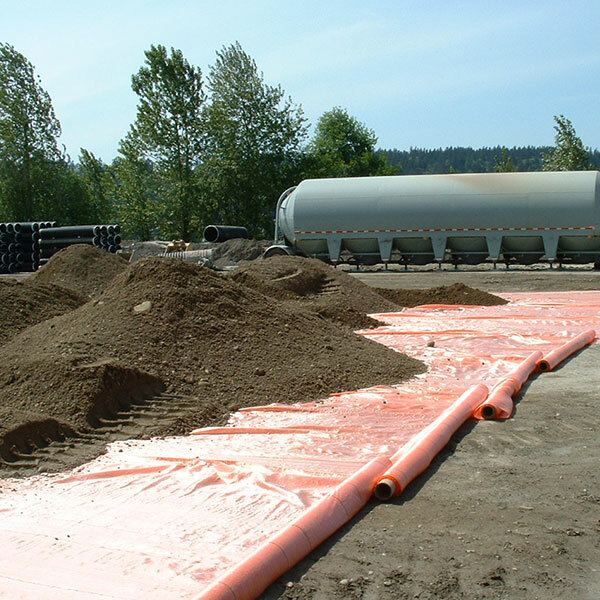 In landfill cap applications, they protect the sensitive liner system below. However, orange demarcation geotextiles act as a filter in soil cap applications. They allow water to pass through while limiting upward movement of contaminants. This warning layer also marks contaminated soils prior to backfilling with clean soil, saving time and money. In addition, it eliminates costly removal and transportation of contaminated soils offsite. Underground utility corridors can benefit from the warning orange demarcation geotextiles provide. Installing the demarcation fabric around new or existing utilities (natural gas, electric, water, sewer, or data lines) helps to avoid costly downtime from excavation damage. Orange demarcation fabrics can help to prevent damage to archaeological sites. Federal and State laws protect these sites from construction damage, so it is vital to keep them intact. Demarcation fabrics mark and protect buried objects while site work continues. Once work is complete, the demarcation fabric can stay in place to protect against future damage.